Golfer or not, you're going to enjoy the location and condition of this move-in ready AND furnished FIRST FLOOR condo. 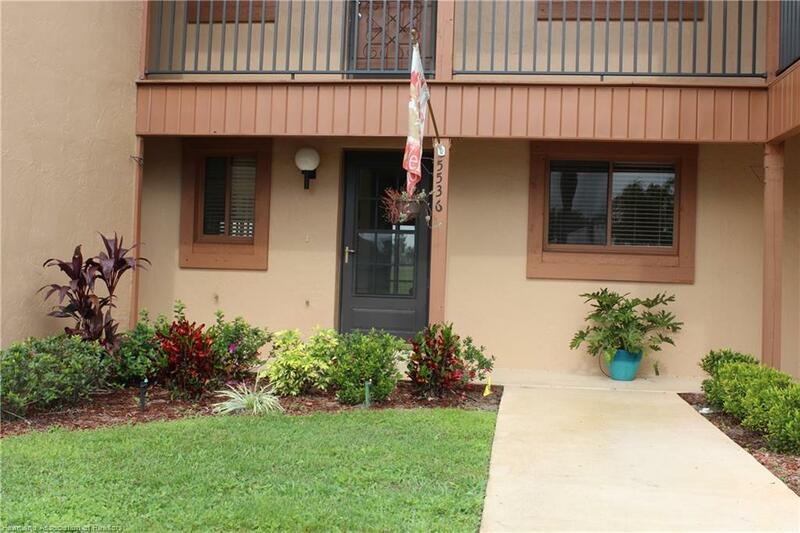 2 BD, 2 BA plus a screened lanai w/optional vinyl sliding window panels. if you prefer more of an enclosed lanai. Updated appliances, hot water heater, fixtures & storm door. Overlooking the 11th tee and within walking distance to the condo heated pool. Well maintained building. HOA fee covers all exterior maintenance, insurance & use/maintenance of condo pool. Don't delay, won't last long! A few furniture pieces are excluded; master bed, shelf unit in DR & DR table/chairs (will be replaced w/another table & 4 chairs) + 1 specific LR chair.